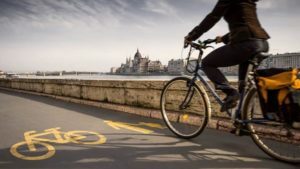 #BikeSkiHealth in Hungary, Totally Gopnicked! Rob Dawson - 2018. október 26. At first I was kind of disappointed because the Norwegians were hesitant to talk to us, but by the end of the week we all warmed up to each other. The first bike trip would of gone better if the Norwegians would have been more open to talking to strangers. 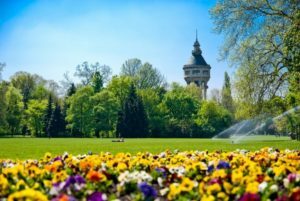 The trip to Szentendre was the best one, mostly everybody could keep up which created a positive atmosphere in the group unlike the following day when we biked from Szob to Budapest. The Norwegian teachers insisted on the entire group staying together which to me seemed unnecessary since we were divided into smaller groups each with Hungarian members that could help navigate and keep their group together. The pace became very slow which was completely fine because then everybody could keep up, but it was extremely annoying to have to hit your brakes every five seconds so you wouldn’t run into the person in front of you. It is too bad we did not go hiking per se. We did take long walks in the city, but nature would have been better than city. The last three days felt really unnecessary and I felt way more tired when not doing anything then when we were biking. Aside from the underwhelming three days I had fun during this project. 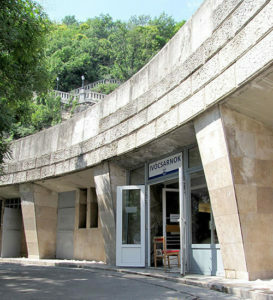 I spent one week with Norwegian participants, in a hostel, near the city center of Budapest. Thankfully, the weather was great, so we could bike to Szentendre, show a bit about our culture in the cultural night, and visit the Margaret Island, for example. I really enjoyed it, because I’ve met with a lot of cheerful and interesting persons from all around the world. To tell the truth, this is not the best part of my life, I have problems, but I could forget them for a while in this trip. In the first day, the Norwegians were tired a lot, so we didn’t do big and tiring things. We cycled a bit in the town and showed famous places to the norwegians. The s econd day was longer and harder. 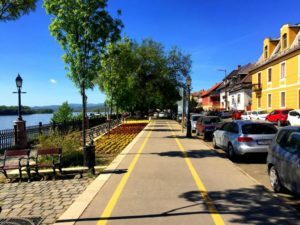 We cycled to Szentendre. It was so beautiful. At the next day we went to Vác, by bike. After that, it was our cultural night. We sang hungarian folk music, presented the presentations about our school and Hungary. In the end, we ate Hungarian traditional food (Paprikás krumpli). Maybe at Wednesday, we took a trip to the castle of Buda. We talked a bit about our history, and the foreigners could eat chimney cake. I think they enjoyed it. In the evening we went to an interesting church. From this point, the days are not clean for me, so I can’t tell exactly what happened and when. …. But a day, we took a walk in Margaret island, then we had freetime. So I, with some other guys, went to Kamaraerdő, to a little farm and we could pet a pig. It was a bit bizarre, but good. One day it came to Norwegian night. They also showed presentations from their home. We ate chocolate and some sausages. The first day (Sunday) we went to the airport and met to the Norwegians. It was a bit weird because they didn’t want to talk to us. Next day we biked in Budapest and saw some interest places. Tuesday we went to Szentendre by bicycle. I really liked it because the weather was pretty good and there were nice view at Szentendre. After that we had a Hungarian night. I think this was fun. There was a Kahoot and presentations. We cooked parikáskrumpli. On Wednesday we went to Szob by train. And we went back to Budapest with a bicycle. It was about 70 kilometers. In the evening we had the Norwegian night. I liked it, we ate weird sausages. On Thursday I think we had free time or I don’t remember. On Friday we had free time in the morning and after we went to the torna házi parti. On Saturday we went to the Buda castle. On Sunday we went to the Margaret island. We saw the little zoo there. And on Monday we went to the airport and said goodbye each others. These Norwegians were tough nuts to crack as the others would say but in my opinion they were just like us. But of course they had the luxury of guests, sit back and wait for others to do the job. But beware that we shall be the subsequent. I really liked the cycling parts except when we were in the city it was an unpleasant experience because I was responsible for others and that was hard to bear, at least it was well-distributed between the responsibles. Overall it was fun even at tough times. So we had ups and downs as always but at core it was great experience thanks to our conductors, we are very thankful for them. I think I have met with good folks. Our relations just started to to unfold when they left us so I hope when we meet again our friendships will flourish. I had a great time, met a lot of new people, I got to know more about those I knew from before and I’ve learned a lot of things about Norway and Its people so about life generally, cool stuff , more of this, please! At first the Norwegians weren’t really talkative. They speak with us but just with 1-2 words. At the first some evening they didn’t want to come out from their room and they didn’t want to play or talk with us. But finally when they came out from their room and started to speak with us it gets better and better. The biking was good. 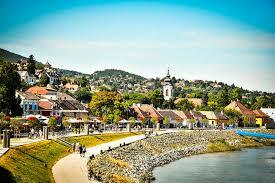 First we go to Szentendre it was beautiful and the road peaceful. The second tour we went with the train to Szob. From Szob we wanted to go back with the bikes to Budapest, but unfortunately I had a flat tire. So I had to came back form Vác with train. I enjoyed it. I think it wasn’t too much. The walk was good too, I really like the Margaret Island and the Buda Castle too. All in all I really liked that project and in the end I thought it was short and I didn’t believe that it was only 9 days. At the beginning, when we just had like 2 meetings I felt like I’m not prepared enough for this week. But luckily I was wrong. On the first day, when we greeted the arrival exchange students and their teachers, and they didn’t even answer our conversation starters I felt so bad and disappointed. At the airport, of course, we had some problems with BKK and with the ID cards but we could solve it. I liked the hostel, I think it was a great choice to stay, it was near to the school and also to the city centre. On the second day in Poli it wasn’t enjoyable because of the Norwegians and by the end also us didn’t have the mood to work together. In the afternoon when we were cycling in the downtown, I was a bit scared because of the especially bad traffic conditions. But it wasn’t as bad as I supposed and we could find alternative ways to get where we had to. So in the end, it all went well. The third day was the best day of all, it wasn’t too long but it was just enough and pleasant. On the other days, there was some little problems or disagreements between us like not going fast enough or somebody got flat tires, but they were okay. From one hand I liked the programme because of the activities that we have done. From the other hand, I am disappointed about not going to hike and not doing things together, not talking to each other enough. All in one I enjoyed the time which we spent together and I am looking forward to the Norwegian trip. This was my first Erasmus+ project and I really enjoyed it. I really enjoyed that we were tasked with sometimes pretty hard tasks like on the arrival of the Norwegian participants we had to buy them their city passes and it was very hard because we had to get 17 passes with invoice. I’m a bit sad that we couldn’t do the hikes but I’m glad that we’ve been to the castle and the Margaret island instead. The most fun parts were the cookings because this way I got to know some of my school mates better too. But if I have to pick an absolute best part that title has to go to the city biking. I love to get around city on bike and this was a great opportunity to share my passion. It was bit hard because the movement of a foreign delegation and some streets were closed as consequence of this but we still managed to see all of the sights. We drank from the the Drinking fountain at foot of the Elizabeth bridge the water tasted a bit strange but it was still a unique experience. We also saw the synagogue. The next day we went up to Szentendre and back on bike it was great because the terrain was flat. The next day we went up on the other bank of Danube by train and then tried to cycle back to Budapest but 85% of the team didn’t make it past Vác and took the train back but it was still fun. Beside s all of the all of the programs we had two national nights which both were awesome and a lot free time. At the and we had a huge pizza and dance party it was great. All in all I loved this project and that I met new people from another country and to learn about their culture and I can’t wait to go to Norway. 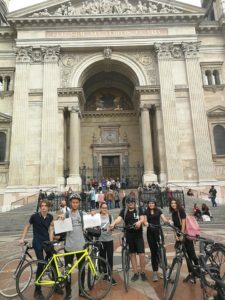 In the project week we were doing a lot of good stuffs like biking in the city and also next to the Duna or just walking in the city. At first I was nervous about the project, because it was my first project and I didn’t know what it will bring or what did I expect. The first day was embarrassing for me, because when they arrived no one wanted to talk to anybody. But then when we went to our school we played a lot of name games and then we got to know each other. I liked the biking trip, when we went to Szentendre. It was pleasant for me. I like biking so it wasn’t was hard for me beside the Norwegians. I thought that they would do it good, but you could be see that they were tired of cycling. I was upset just a little, because I thought that they could take the cycling easily, but they didn’t. I thought that this trip would be the hardest, but I was wrong. The hardest cycling trip was the Szob/Vác trip. In the trip there was so many misunderstanding and a lot of „problem”. I mean we started this trip with our group (in the first day we got divided into groups) and in the end we was a big line, because one of the Norwegians teacher said that it would be great if we go in a big line, when everybody is together. It seemed ok for me, but then this wasn’t was fast as in the beginning so this was a little bit bad. Towards the end you could see how tired and care-worn everybody was, but overall it was good. In total this project was so much fun! I can’t wait to go Norway and continue this project! I really enjoyed this week of October, especially because of the #BikeSkiHealth project. Everybody was very friendly and if we needed to, we could work together really efficiently. 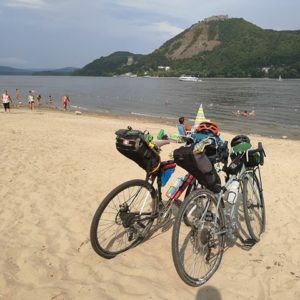 On this week we were doing a lot of things like biking on the left bank of the Danube and also on the right one. 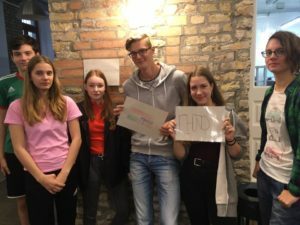 On the first day when we met the Norwegians at the airport, we went to school and did some name learning games and just got to know each other. The second day was about working in teams if six, and cycling around the city which was really fun. On Tuesday the program was biking to Szentendere and back in one day. I think we did it in a good time, everybody could keep up the pace (sort of) and it was just a very fun day, at the end we were all really tired. Day 4, the 65 km long cycling trip is about to begin. The plan was to take a train up to Szob and cycle back. Until Vác it wasn’t really good. The speed was very low, and there were some misunderstandings as well. At Vác a part of the group decided to take the train back, but after that the trip began to be more enjoyable. We could go faster, there weren’t to much limitation. After we got home, everybody was extremely tired, but we had enough energy to have the Norwegian night. On Thursday the whole group went up to the castle and looked around and on Friday there was the Tornaházi Party where there some sport matches against school teams. On Saturday we got some free time after we went to the Margaret Island which was really nice and on Sunday we had some work to do. We did presentations of the week in groups, did the YouthPass, made some t-shirts and had a Farewell Party. This was my first Erasmus+ project and I enjoyed it. At first when the Norwegians came they seemed very shy and quiet but later it changed. When they arrived they were so tired so we didn’t do anything just got to know each other a bit. 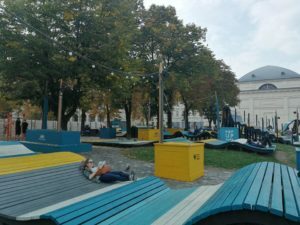 On the second day we had things to do in Poli, but in the afternoon we were cycling in Budapest. 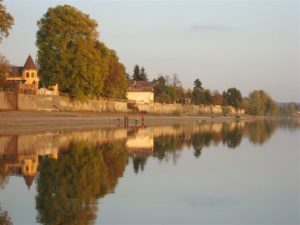 The third day we went to Szentendre with bikes, the weather was good and it wasn’t too long. . At the night we had the Hungarian night and it was good. 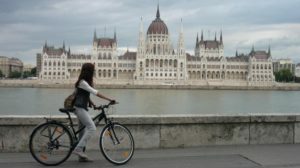 The next day was the best for me, we went by train to Szob and cycled back to Budapest. It was tiring but fan. Most of the Norwegians took the train in Vác, it was weird because they knew that we were going bike a lot. This day we had the Norwegian night and I tried deer meat, it was tasty. On thursday we had free time and in the afternoon we went to Buda to see famous Hungarian places. This day we would have hiking but the Norwegians were tired. On friday we had freetime and the Tornaházi party, it wasn’t so good.. The next day we went to the Margaret Island which was very boring for the Hungarians. The last „active” day we were in Poli and we had to do the Youthpass and we played games, painted shirts, I enjoyed it. On monday we went to the airport to say goodbye. All in one I had a great time even though we didn’t speak a lot with the Norwegians and I am looking forward for the Norwegian trip and the skiing in Norway. I think we had a lot work in our relationship, especially with some girls who are didn’t want to talk in English, but when I talked to them they were cool so it’s okay. The first half the Norwegians arrived, than after they ate something we went next to the Danube river and trying to speak with each other to dinner which was delicious. The real first day we did some tasks at Poli, after it we went to the city by bike to do some tasks. 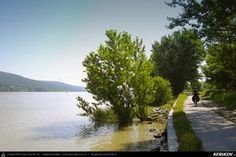 The second day we went to Szentendre by bikes and after some free time we went to a restaurant to have lunch, than go back to Budapest and we had the hungarian night. The next day we went to Szob by train and the program was to go back to Budapest which was 70 kms far from us. It took I think 6 hours, but it was beautiful at the Danube bend, after it we had the Norwegian night which was pretty good, they did some very tasty food and good presentations. The 4th day we had free time and in the afternoon we went to the Buda castle to sightseeing. The 5th day we had free time again and after it we went to the Tornaházi party to Poli which was pretty good, but also long so I was tired of the and. On Saturday we went to the Margaret Island to showing some beautiful places to the Norwegians. The last normal day we went to Poli to do the Youthpass then after it we did some games and some tasks. And on the last day the hungarians escorted the Norwegians to the airport and say goodbye to them. I’m really looking forward to see these guys again and I think we will have a great time together in Norway. It was a really instructive week namely, in the first day nobody wanted to talk with me. That’s why I was so dissapointed. But I had to realise that they won’t come here and talk. Therefore I started to talk with them, that was a really good idea because after the first awkward talk the ice broke, and they were the originators in the communication. The first bike tour were really funny, surprising and also tiring. Because the whole team was really happy and accustomed during the trip. And sadly I got a puncture, and I had to change my wheel, wich was really exhausting. The second big trip was not that funny for the reason my hip was injured before the Erasmus+ project, instead the atmosphere was really good. The next few days have a team building effect, because we were some tour in the city centre, And we had time to talk with each other deeper than before. After the evaluation programs everybody was so sad by the departure. But there is no reason for concern, especially we will meet with the others in the winter. When I got the news that I am in the project i was very happy. Could not even believe that once I can go to Norway, this is still too crazy. I could not wait the Budapest meeting to meet with the Norwegian students. Actually I already met one guy when he and one leader from Norway come to discuss the Hungarian meeting. So when we met with the whole group on the airport i already knew two of them. When they arrived it was a bit strange. They did not really want to talk with us they were super tired I guess. So at the first day we, Hungarians, thought that they do not like us at all. But the second day was much more better. They slept and than we recognized they were just too tired to talk to us. It was still difficult to make friends but we could do it. My roommates were very kind girls and we still talk on the internet almost every day. I got very surprised when we went to cycle. I thought the Norvegiens will be very sporty and they will be much better than us but it was not like this. They were very tired in the end of the first cycling even it was the shortest. It was because they do not really do cycling in their country. They do skiing and these winter sports not cycling so it was new for them. I bet when we will go there to ski they will be surprised because we really cannot ski. In the end it was a very fun week, we had some fun talking night together, made new friends, and got know a very different culture. It was very nice to be part of it and i cannot wait to go to Norway and see what they have for us.